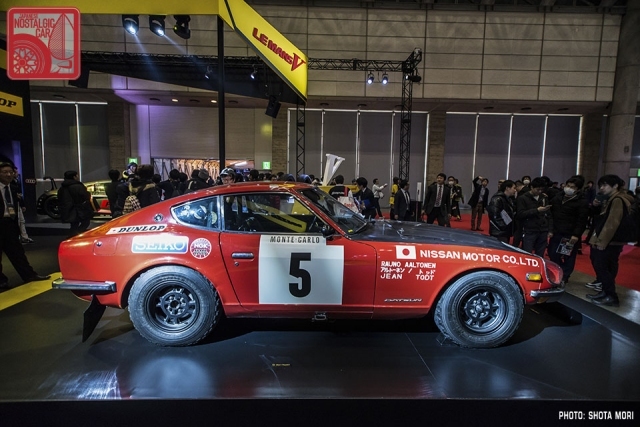 The Tokyo Auto Salon this year was its usual bacchanal of outrageous VIP luxury sleds, retina burning drift machines, and European exotics dripping money and diamonds out of their exhaust pipes. But in the midst of the madness, some companies actually brought out honest-to-god works of automotive art in the form of rally cars. Toyota was definitely king of the event, bringing out a trio of rally machines under the banner of its Gazoo Racing motorsports division to commemorate its rallying history. 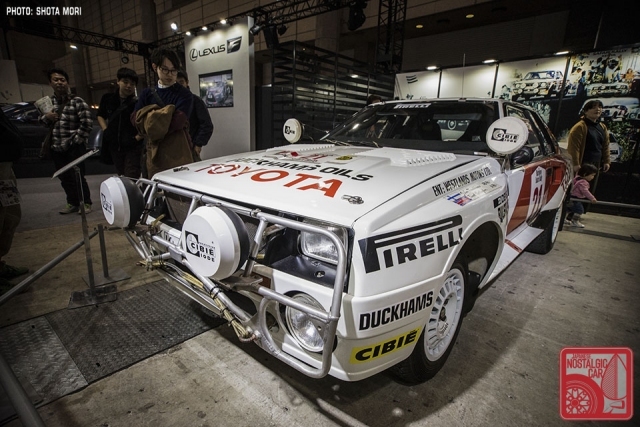 Things were off to an excellent with the TA64 Celica TCT, a Group B monster machine based on the A60 Celica. Fitted with a 2,090cc twin-cam turbo (hence the “TCT”) 4T-GTE engine, it was estimated to produce upwards of 380 horsepower. 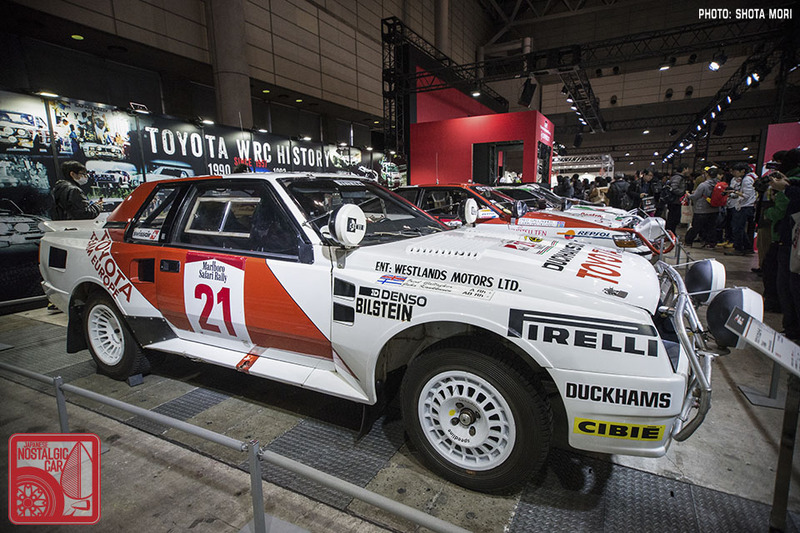 Though RWD, it fought valiantly against a field of AWD cars to win three consecutive runnings of the grueling Safari Rally from 1983-85 and three runnings of the Rallye Côte d’Ivoire from 1983-86, earning it the nickname the King of Africa. 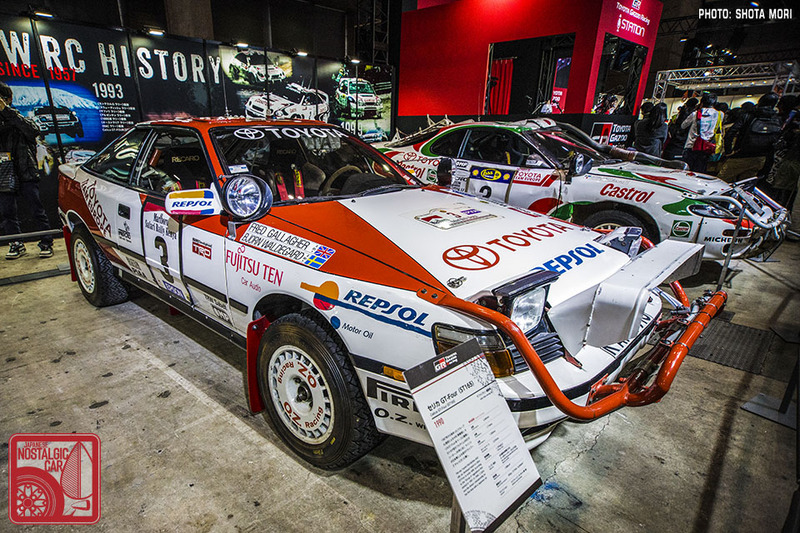 Following chronologically was the ST165 Celica GT-Four, built to new Group A specifications after the abolition of Group B. As a result, its 2.0-liter turbo four churned out a more reasonable 295 horsepower. 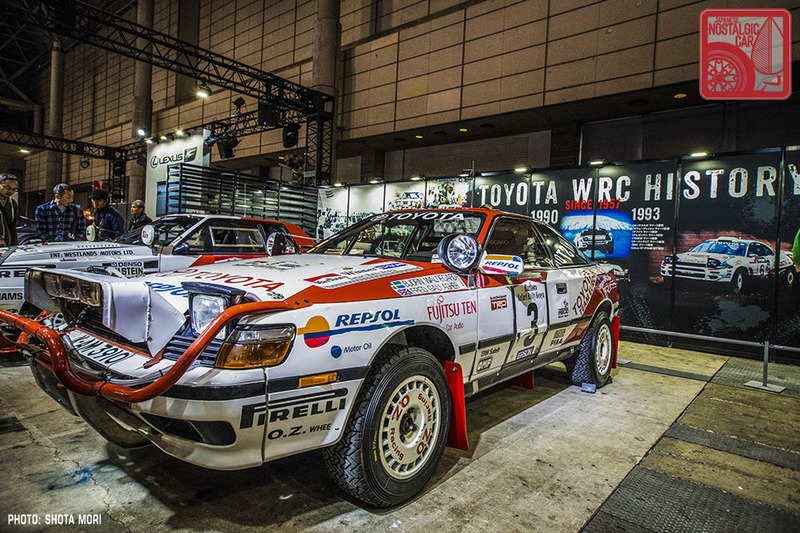 Resplendent in its pre-Castrol Repsol livery, it was Toyota’s first AWD rally machine. This car, with all its battle scars, in 1990 became the first Japanese car to win a WRC championship. 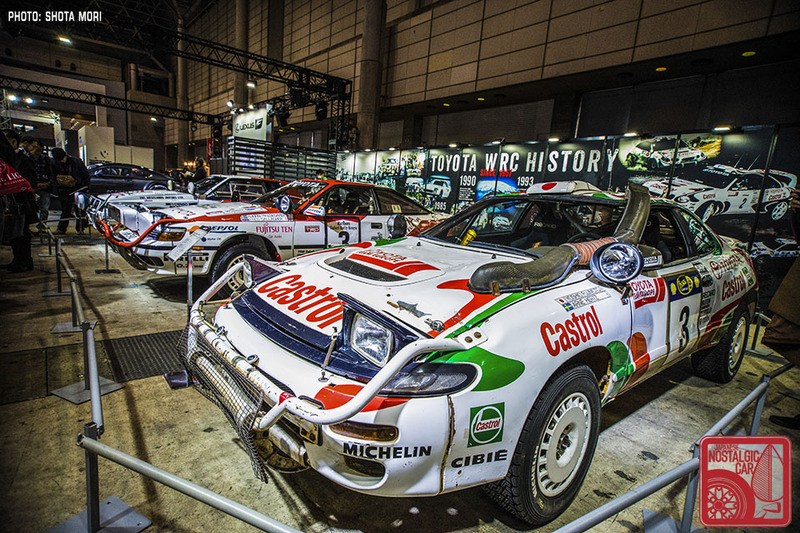 With its Castrol livery, wildlife deflectors and snorkel, the ST185 Celica GT-Four is the prototypical Toyota WRC racer. Carlos Sainz won the WRC driver’s championship with it in 1992, then went onto clinch both the driver’s and manufacturer’s championships in 1993-94. This very car can be seen on display normally at the History Garage in the Palette Town shopping center in Odaiba, across from Toyota’s Megaweb showroom. Why were these decorated veterans trotted out of retirement? Because Toyota was making a big statement about its long awaited return to WRC with the Yaris. Ryan has already gone over the street car that will result, and it looks like a barrel of monkeys. As you may notice, though, the ST205 Celica is notably absent. 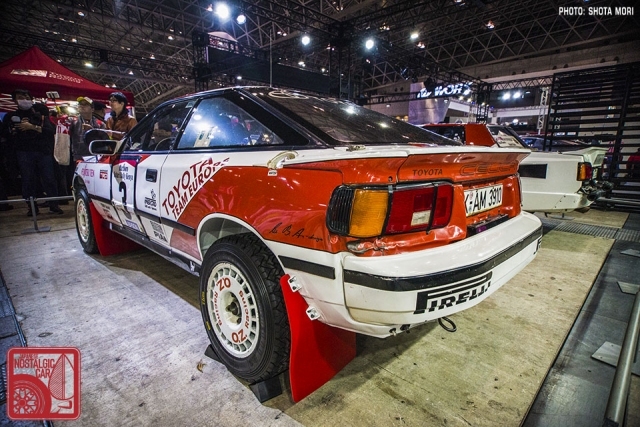 Being Japanese, Toyota will likely never acknowledge in its home country the incredible ST205 Celica GT-Four — or its ingenious restrictor plate bypass — because it got them them banned from WRC for two years. They returned to take second in the 1998 championships and first in 1999 again before shifting focus to F1. We all know how that went (disastrously), so returning to their rally roots should be an exciting chapter in Toyota motorsports. 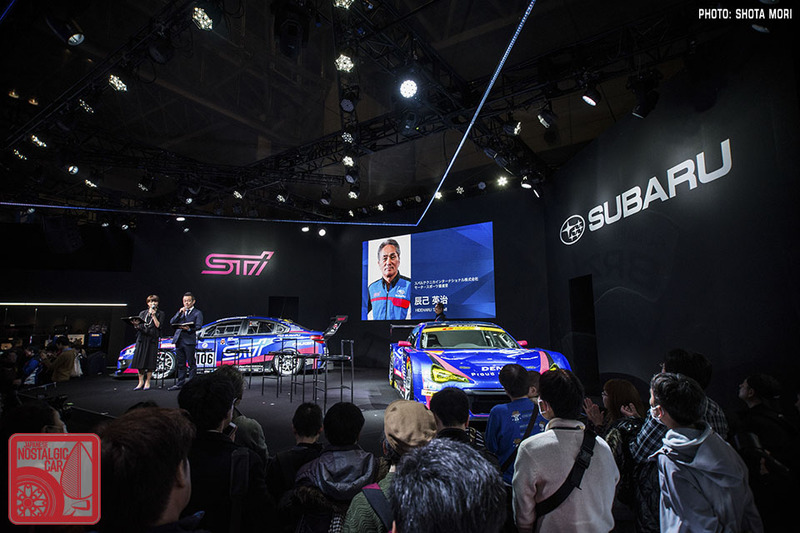 Subaru announced their motorsports plans for the year, showing off their GT300 BRZ and 24 Hours of Nürburgring WRX STI. 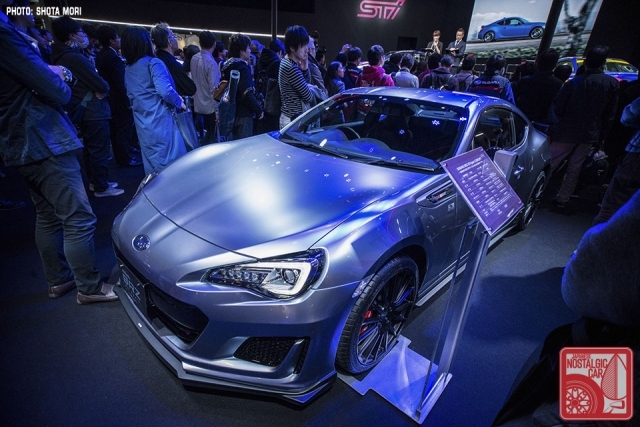 The company also unveiled a street car called the BRZ STI Sport. Don’t get excited, it’s just some suspension tuning and an appearance package. Handling should be improved, but there’s no additional power. 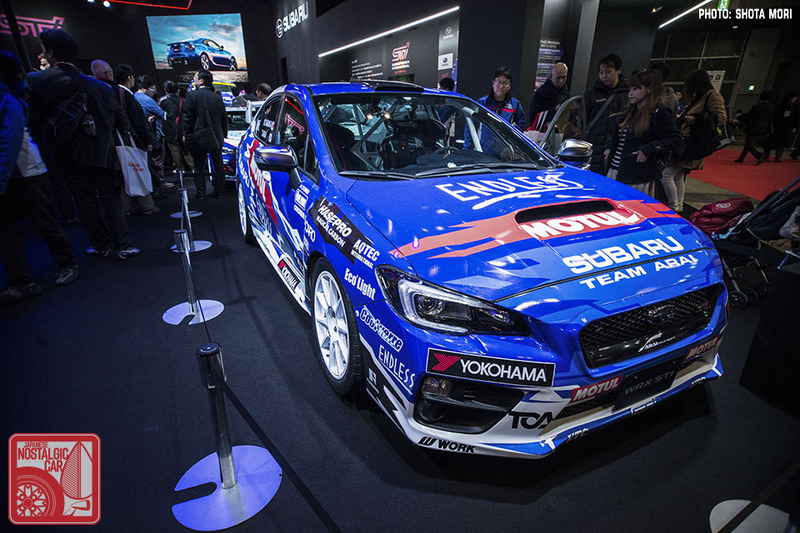 Nearby, two-time Production Car World Rally Championship winner Toshi Arai’s WRX STI for the 2017 was on display. 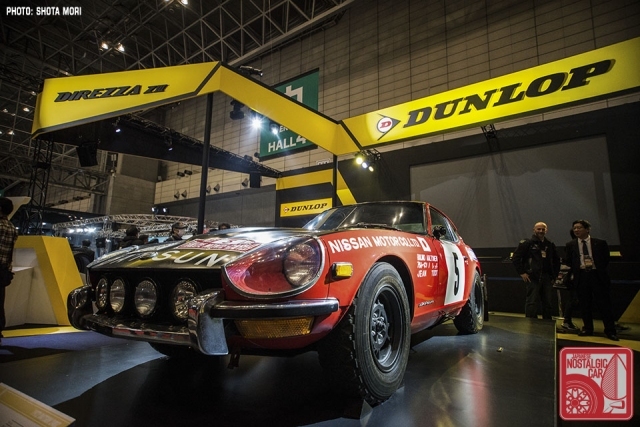 At the Dunlop Japan booth, a Datsun 240Z presided over the tire display. But it wasn’t just any old Z — it was the Rauno Aaltonen and now FIA chairman Jean Todt’s 1972 Monte Carlo Rally 240Z. 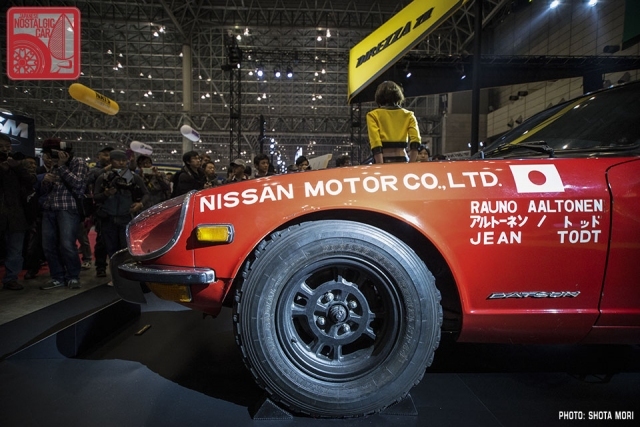 Of course, the car is wearing made-in-Japan FR70-14 Dunlop PW72 snow radials that helped carry it to a 3rd place finish. And finally, because this is the Auto Salon, we can’t leave without at least one WTF creation. The Sunny Monster Truck isn’t a rally car per se, but it’s probably great in dirt and was one of the most talked about cars from the show. 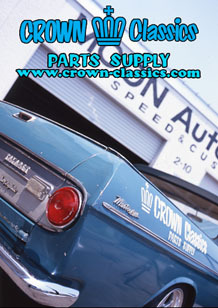 It’s powered by a Chevy 350 small block V8 claimed to produce 1,500 horsepower. To cram it in the engine bay where Nissan’s original 1.0- or 1.2-liter A-series four once sat, the firewall had to be removed and a custom bulkhead welded in. The body is perched on a custom tube-frame chassis with 1-meter-tall BF Goodrich tires at each corner. The best part is, it was built by students. In Japan, technical colleges often create mad cars for shows like this, and WiZ College in Fukushima Prefecture is no exception. See kids, school can be fun! 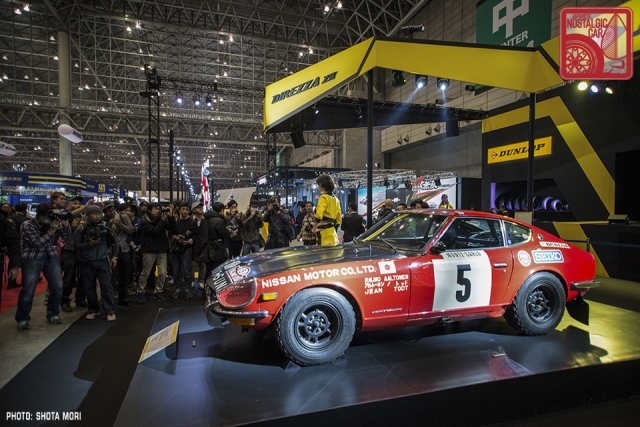 We’ll have more 2017 Tokyo Auto Salon coming up, but in case you missed it here’s coverage from the 2016, 2012, 2011, 2010 Tokyo Auto Salons. 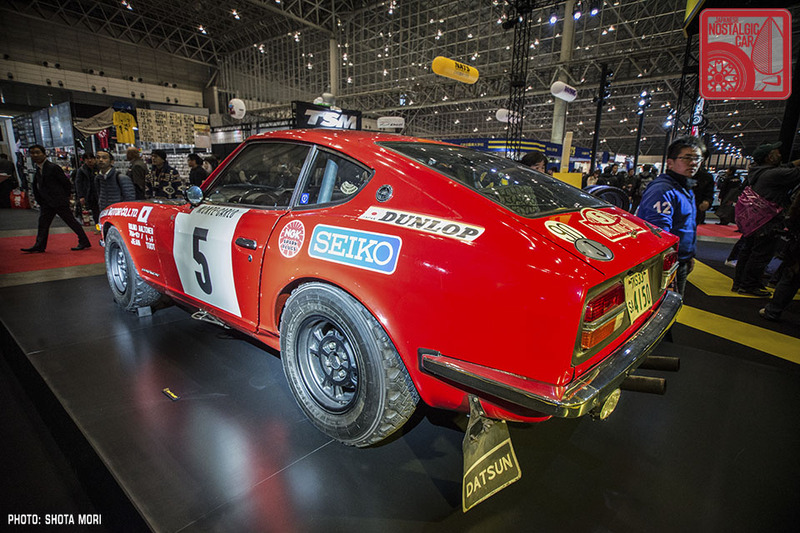 tagged: 240z, a60, brz, celica, datsun, nissan, S30Z, safari rally, sanitora, st165, st185, subaru, sunny truck, TA64, tokyo auto salon, toyota, wrc, WRX STI. 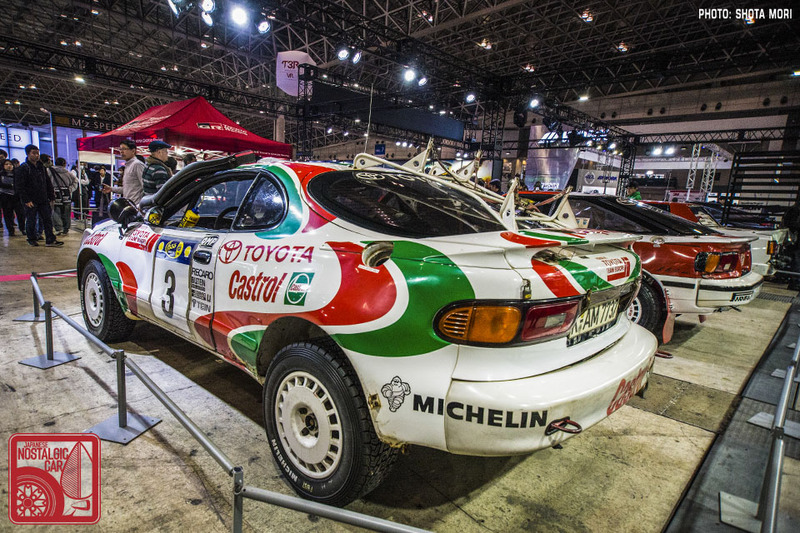 To be fair to Toyota, its return to WRC with the Corolla in 98 and 99 actually went quite well – the team finished second in the series in 98 and first in 99, with Sainz taking second in the driver’s championship in 98 and Auriol finishing third in 99. 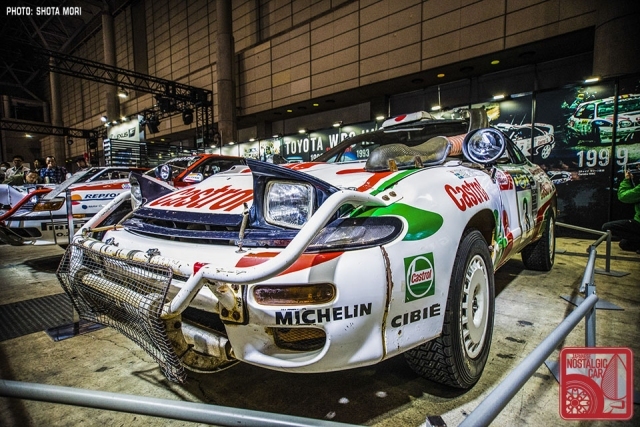 Unfortunately, it’s better remembered for Sainz’s car expiring a few hundred yards from the finish on the final stage of the final rally in 1998, handing the title to Makinen (who is now Toyota’s WRC chief, coincidentally). Interesting how Toyota has wheeled out each Celica in Safari rally trim. Maybe those look more like stereotypical rally cars than in regular gravel or tarmac spec? I need to know this…. What are those two yellow ‘Energy’ bottles used for inside the cabin of the ST185 Celica GT-Four ?? They may well be as simple as they look – drinks bottles for the driver and co-driver. That being a Safari-spec car, in-car conditions would have got quite unpleasant at times and Safari stages were longer than any other on the calendar. I imagine both occupants would have been able to pull down a straw (it looks like it’s looped over the roll cage) and take a drink. Happy to hear any better theories, of course! I was leaning more towards that idea as well, And you confirming it is enough evidence I need. That is so cool, It’s such a good but simple idea. That’s what I was thinking too. Either that or a Super Mario power-up that turns the Celica into a flashing star plowing through anything. I thought the same, however I was surprised to see the bug-eye ST205 WRC Celica at Megaweb when I visited this January. They even mentioned, in a low-key manner, that they had been excluded for irregularities. (This was as part of a huge display of rally heritage downstairs to celebrate their return to WRC). So bravo Toyota for being honest, I think openly acknowledging faults makes it less likely it would happen again (see also Mitsubishi). If you ain’t cheatin’ yer not racin’. Too bad they didn’t have a Toyota Team Europe TE27 Corolla rally car.